The end of the year marks an important deadline for river corridor planning for all metro area river cities. In 2016, Minnesota formally adopted state rules to protect the outstanding natural, scenic, cultural and recreational resources of the Mississippi River Corridor Critical Area (MRCCA). Each of the 25 cities and townships along the river corridor now has to update local plans and ordinances to be consistent with the new rules. Several Twin Cities communities have completed their draft plans for land use and development along their local riverfront, but many are still seeking public comments in the coming months. Hastings, St. Paul Park and Inver Grove Heights are still accepting comments for the next few weeks, but they will be wrapping up their draft plans by the end of 2018. Mendota Heights has a workshop and public hearing scheduled for November 19 and November 27 respectively, and aims to complete their process by early 2019. The City of St. Paul opened the official public comment period for its draft comprehensive plan on November 2, 2018 and will take comments through January 11, 2019 when a public hearing is tentatively scheduled before the planning commission. The City of St. Paul's river corridor plan has a separate timeline in May 2019 for both public comments and a public hearing. The city council will hold a public hearing on the entire plan in June 2019. For Rosemount and Denmark Township, commenters have a bit more time. Both plans came out recently and public meetings will be scheduled in early 2019. Rosemount has set a deadline of April 1, 2019 for public comments. Minneapolis wrapped up their public comment period in July and released the revised plan in September. Thanks to the 100+ River Guardians who weighed in to urge the city to protect riverfront views and future parkland, the revised plan includes additional scenic protection in the gorge and a stronger commitment to adding parkland in the central riverfront and above the falls as land becomes available. They held public hearings earlier this month and the City Council intends to approve the plan in December. Finally, a handful of other cities, including Dayton, Anoka and Brooklyn Center have requested a six-month extension from the Met Council. We can expect to see those plans sometime before the end of June 2019. Find out what's in your city's plan and weigh in! If you'd like to weigh in but don't have much time, there are two things you can do. 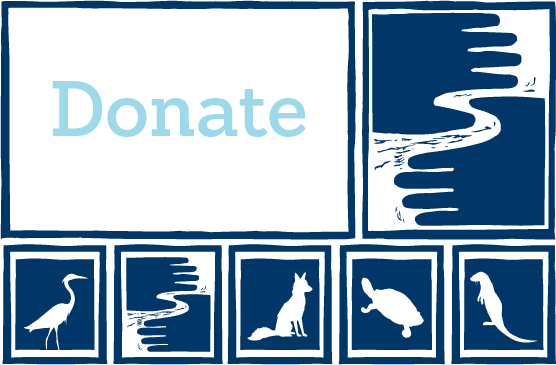 Each will take you just a minute: Contribute a view worthy of protection and/or sign up to be a River Guardian.